In the early 20th century, there were more than 500,000 rhinos living throughout Africa and Asia, but due to excessive poaching their numbers have dwindled to alarmingly low levels. In fact, according to recent figures published by Save the Rhino, there are now just 29,000 rhinos left living in the wild. Rhino numbers have plummeted in recent years because of increased demand for their highly coveted horn, which can fetch up to $100,000 per kg (the average horn weighs between one and three kgs each) in countries like Vietnam and China. Users of rhino horn believe it to have medicinal value, capable of curing a variety of ailments ranging from headaches and hallucinations to snakebites and demonic possession – though there is no evidence supporting such claims. Nevertheless, the rhino-poaching crisis has reached such levels as a result of increasing demand in Asia – driven by improved economic performance – that if the killing continues at the current rate, the number of deaths could overtake births as early as 2018. In fact, the problem has got so bad that biotech company Pembient has come up with a solution to the poaching crisis that is as controversial as it is clever – the manufacturing and distribution of synthetic rhino horn that is indistinguishable from the real thing. While it may sound like a brilliant solution to a seemingly impossible problem, the product has been met with scepticism from conservationists, who don’t believe it will reduce poaching of wild rhinos, but instead, drive up demand for the wild horn. But will this market-based solution manage to put a stop to poaching or exacerbate the situation further? Cathy Dean, the International Director of UK-based charity Save the Rhino, is adamant that the proposed solution will do more harm than good. For her, the fundamental problem with the synthetic products produced by Pembient – which include a skin cream marketed to wealthy women in Vietnam and a beer manufactured in China – is that it will drive up demand for wild horn. “These are entirely new uses of rhino horn that will reach an entirely new audience”, she said. “We all know that Vietnamese and Chinese societies are now very aspirational. The real fear is that users will eventually graduate to wanting the real thing and that a wider demographic of people are being reached by these synthetic products.” In recent years, a large driver of demand for rhino horn has been the creation of new uses that have nothing to do with traditional Chinese medicine, which have been dreamed up and marketed by international criminal syndicates. In Vietnam, which represents a burgeoning market for illegal rhino horn, it is viewed as a hangover cure and has been promoted as an effective treatment for cancer. But as rhino horns are entirely composed of Keratin (a protein found in hair and finger nails), such claims are fictitious. “Frankly, I struggle to see the difference between new uses touted by criminal gangs in order to create a wider market and drive up the price and those peddled by synthetic rhino horn manufacturers’”, added Dean. If conservationists think that Pembient’s plan is to drive down demand then they are mistaken, because as the Seattle-based start-up’s CEO, Matthew Markus, explained: “I don’t really care about demand one-way or the other – I care about price. I care about animals and I don’t want them killed for products”, he said. 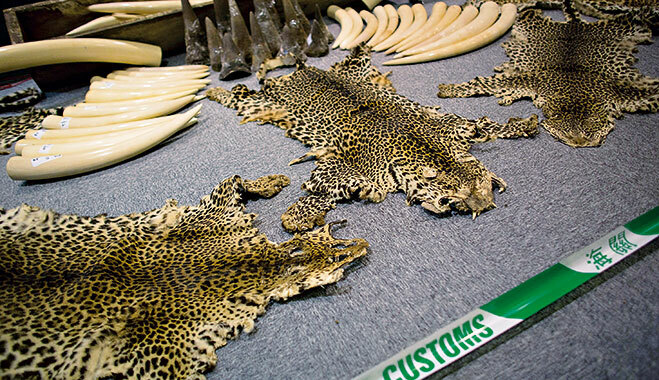 “We are trying to prevent the farming of wildlife.” It might seem strange, but he is also concerned about protecting Vietnamese and Chinese cultural practices too, including those centred around the consumption of rhino horn. If Pembient plans to use its product to drive down market value of rhino horn, then it is important that it has an effective strategy for doing so. Arguably the easiest approach is to flood the market, drowning it with an excess amount of inventory for sale, leading to a rapid decline in price for the product. Such a plan is a little too simplistic for Markus and his team, who have instead chosen to attack the market from three different angles. At the top end of the market, the company wants to create a legitimate brand. Pembient wants to sell a luxury product that will have true labelling, so people will know it came from a lab. It hopes that its synthetic rhino horn will be used in a number of products, particularly high-end ones, such as beauty creams, liquors, beers, and even durable goods including jewellery. From a middle market perspective, the US-based biotech company is fully aware that from time to time its product will be stolen or simply bought and re-labelled, perhaps even marketed as wild horn. Such activity will help to introduce a level of uncertainty into the market, making consumers of the commodity question whether or not they are actually buying wild or synthetic horn. “Individuals in the middle of the supply chain are more motivated by profit than anything else, so our product can be seen as a universal cutting agent”, asserted Pembient’s CEO. “In the drug trade, you can think of a cutting agent as something that is less valuable and less efficacious as the drug being cut. In our case, we are the same as the cutting agent and we cost a lot less. “So anyone using our product as a cutting agent will use it more and more in order to boost their profit margin until they wonder why they are even bothering with the real thing anymore.” At the lower end of the market, Pembient is hoping to inject a level of quality uncertainty into the market, so that people begin to question whether wild or synthetic horn is being traded in the black market. Markus and his team hope that over time all these different angles of attack will lead to the collapse of the black market and with it an end to poaching. “We are also looking at staging intervention on the ground in South Africa from the supply side”, explained Markus. “This may be as simple as leaving [synthetic 3D-printed] horns in the field, so that poachers may stumble across them and pick them up and sell them instead of actually hunting the animal.” Considering that Pembient doesn’t care about demand and is solely focused on driving down the market value for wild horn in order to put an end to poaching, not only is its business model important, so too are pricing policies. Building synthetic rhino horn in the lab is neither simple nor cheap, however, compared to the real thing it is. Wild horn on the black market can cost anywhere between $30,000 and $100,000 per kg. That is why Pembient is targeting a wholesale price in the region of $7,000 per kg (about an eighth of the black market value), which it believe will allow them to drive down the wild horn’s market value while simultaneously making enough profit to keep the company afloat. “Ideally, we would like to be an ingredients company and sell this product as an ingredient to other producers to include in their end product”, noted Markus. One of the major issues raised by conservationists regarding the sale of synthetic rhino horn has centred on its similarities to the real thing, which it says will create a number of legal challenges, especially when it comes to the import and export of the product. But when Markus was asked about the state of the company’s relationship with Chinese and Vietnamese authorities, he explained that things were running rather smoothly. The news may upset conservationists like Dean from Save the Rhino, who had hoped that the product would face some real obstacles, as in her opinion, “any company [that] starts manufacturing and marketing synthetic rhino horn does so to the detriment of the conservation movement”. Such criticisms are welcomed by Markus, as the company relies on a critical eye in order to build for the future and acknowledges that the product will continually need to be refined over time in order to fulfil its goals. “We are always going to try and get better and better and get closer to being bio identical to real rhino horn”, he said. “One of our interim goals is basically to make it cost more to test our product than the real thing is currently worth. “The idea is to make it impossible for an end consumer or a distributor or anybody else in the chain to be able to determine the quality of the good vis-à-vis wild horn.” The quicker the team can refine the process and create a product that is truly indistinguishable from the genuine article the better, as there is a concern that as genetic testing kits become cheaper more people will have the ability to verify products quickly and cheaply. Markus even envisages a world where one day consumers will have an app that is capable of telling them if they have real rhino horn or not. Luckily, the team have already developed a number of prototypes, but are holding back on taking the product to market for the time being, pushing the launch of their product back to 2016. When asked about the delay, Markus explained that the company had been in contact with a number of academics and economists who were eager to measure the impact of their synthetic product on the market, along with how effective it is at reducing incidents of poaching. The data is particularly important to Pembient, not just from a market research perspective, but also because the company believes that many conservation efforts in the past have failed to collect adequate levels of data or carry out secondary analysis. However, conservationists have been very successfully in driving down demand for wild horn in the past and continue to make progress. “Nobody expects to snap their fingers and have the issue resolved overnight”, said Dean. “If it were a simple problem, believe me it would have been solved. It is complex. It is difficult. It does need a range of measures working in tandem.” For now at least, only time will tell if the proliferation of synthetic horn into the market will make the impact that Markus is hoping to achieve. It is also a shame that greater collaboration between Pembient and traditional conservationist organisations appears unworkable at this stage. But considering that there is polarising opinion over how best to reduce demand for wild horn globally, with legalisation of the wild horn trade in South Africa likely to come up when The Convention on International Trade in Endangered Species of Wild Fauna and Flora convenes in 2016, it is unlikely that a consensus will be reached about the manufacturing of synthetic products any time soon either. But no matter what side of the synthetic fence individuals find themselves on, everyone must acknowledge that such an innovative attempt at a solution is worthy of praise. Is simplicity the key to good finance?